A recent study published in the Journal of Developmental & Behavioral Pediatrics suggests that the amount of time a child spends in front of the television can influence their risk of being bullied by the sixth grade. The study observed 1,997 children (1,006 boys, 991 girls), starting at the age of 29 months up until the sixth grade. The toddlers’ television habits were reported on by their parents and the participants answered questions about any incidences of bullying in the sixth grade. Researchers concluded that the longer toddlers watched TV, the higher their chances of being bullied later on in life. Study researchers suggest that early TV exposure is linked to developmental and social deficits, which could make some children more susceptible to bullying at school. The American Academy of Pediatrics (AAP) estimates that American children spend an average of seven hours per day using a TV, tablet, computer, or other electronic media device. The AAP recommends that children should watch no more than one to two hours of TV or other entertainment media per day, and that the rest of the day should be focused on establishing social relationships and enriching activities. Childhood bullying has been known to increase long-term mental health issues. 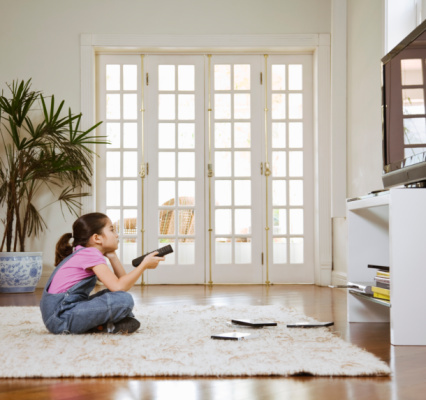 McIntosh, J., “Couch potato toddlers at risk of future bullying,” Medical News Today web site, July 20, 2015; http://www.medicalnewstoday.com/articles/296962.php.